Formlets provides the capability of adding a custom name and reply-to email address. This allows you to specify what email address the Formlet responses are sent. Enter a Send to Email Address (optional). 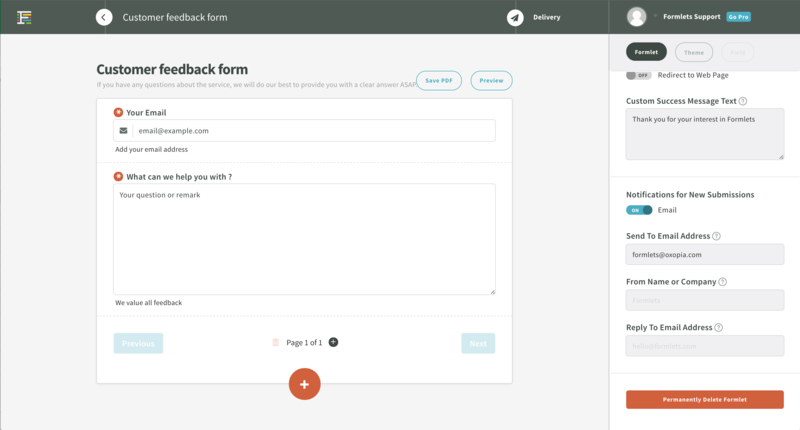 * This is where email notifications will be sent when a user submits a Formlet. If no entry made, responses will be sent to the email address associated with the Formlets account. Enter a From Name or Company (optional). * This is the text which displays in the From email header. These features are only available for Basic and Pro Accounts.